Posted 8:30 am by Wayne McMillen & filed under News, Tips. At the end of February I got the opportunity to go to The Guitar Show. 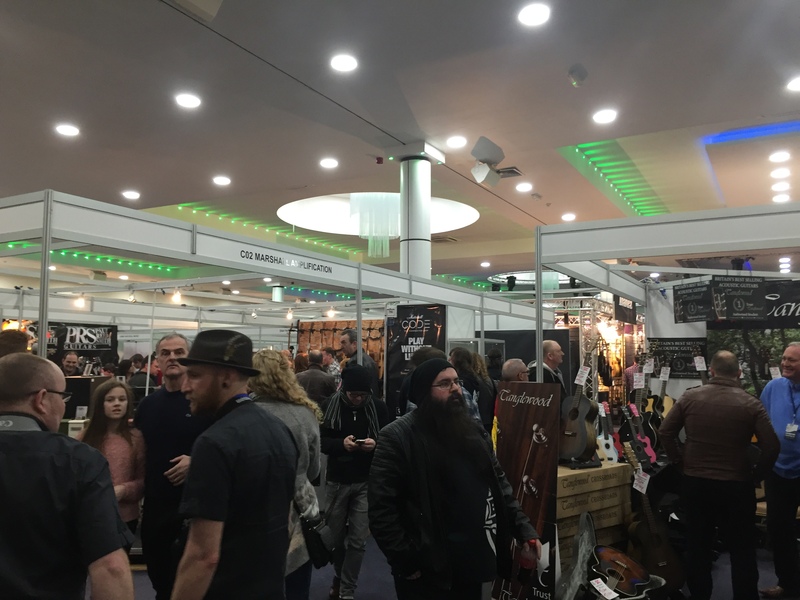 The biggest UK guitar show. Based in Birmingham I decided it would be good experience for me as a guitar teacher to see what the latest tech is as well as see some talented musicians doing their thing on best-of-the-best gear. I’m also planning to go to NAMM in the next couple of years so I wanted to get some experience being at an exhibition as, if you can believe it, I’ve never been to one before. So after a long drive down to Birmingham we (I managed to talk to Mrs into coming with me) finally arrive. The trip was off to a great start when I bump into Alex Hutchings a phenomenal jazz fusion player who plays completely by ear and is the lead guitarist for the Thriller concerts well as a composer for the BBC and ITV. Totally nice guy too it turns out! So from there we moved into the main hall, and it wasn’t really what I expected. The noise was intense to say the least. You could barely hold a conversation over hundreds of people trying out guitars! I have been told this isn’t the norm and I stuck my ear plugs in. If I was looking for a new guitar this may have been a better experience for me as the majority of stalls were wholesale guitar retailers with the odd Fender and Marshall store spotted in amongst them. So there weren’t really product demos as such and more a find a guitar you like and play it. There was a lot of show special discounts around though so you could have grabbed a good deal whilst you were there but I was concerned about how well these guitarists could actually hear the guitar over the noise. 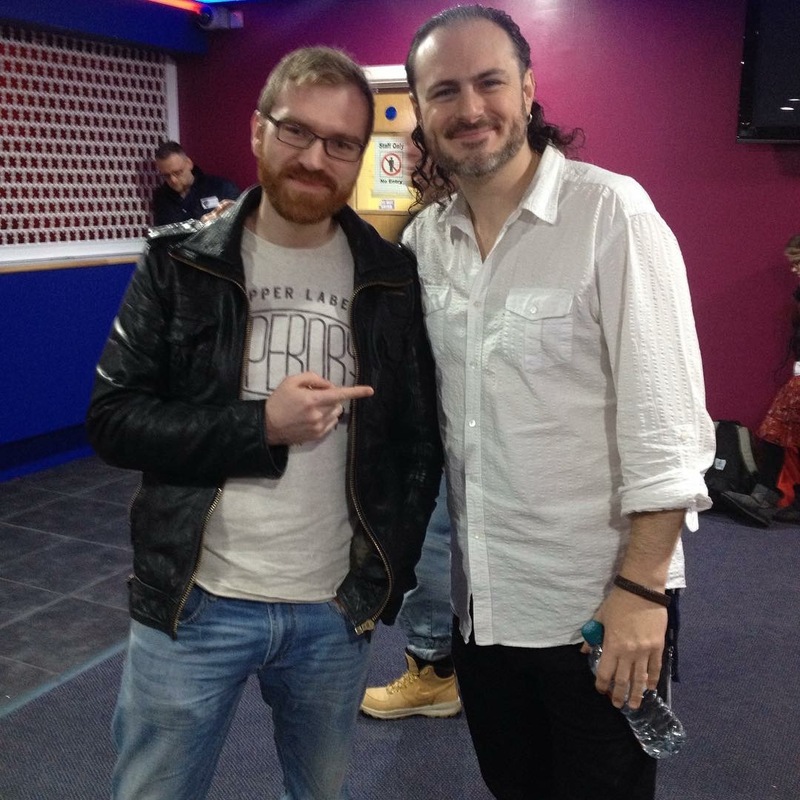 I later bumped into Tom Quayle my guitar tutor. If you don’t already know I myself take guitar lessons, something I’ll write about in another post on another day but there’s always something new to learn especially from someone as insanely talented as Tom Quayle. We had a quick catch up, as he was filming for his guitar hour, and then went on our way. Unfortunately it didn’t take us long to walk around the venue, say 30 minutes. 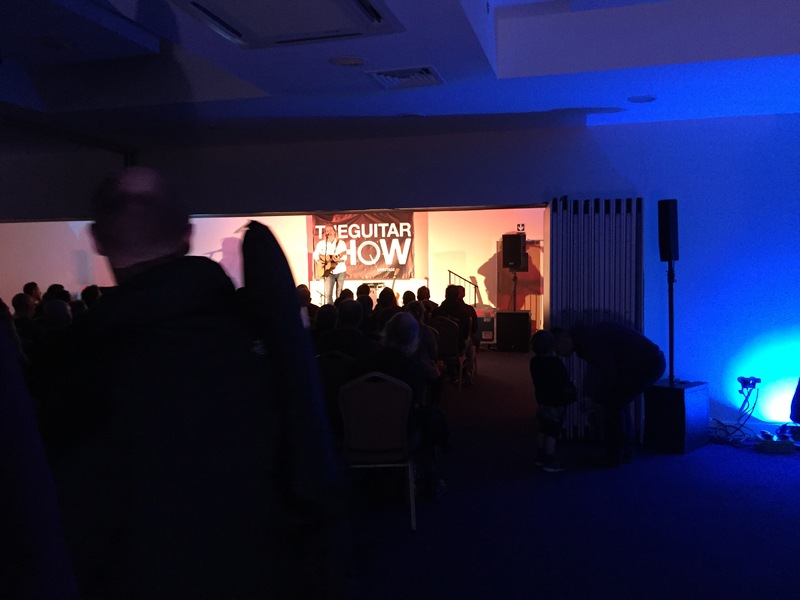 So after we’d seen all there was to see we headed to the stage where Gary Lutton, the previous winner for Guitar Star was performing (Guitar Star are currently looking for new contestants fyi). It also turns out they were running a few demos on this stage too at different times. After a little time there we decided there wasn’t much else to do and packed up for another 2 hour drive home. Now I wouldn’t class it as the best event I’ve been to but if I’ve learnt anything from my experience it’s to check on the exhibitors list and see if there’s stall you would specifically want to see. To introduce myself to people, chatting to Alex was a highlight which I could have easily missed if I hadn’t have said hello and finally to always carry ear plugs – because you never know when you’re going to need them.